The Cove Restaurant is located on the beach at Bell Sound Lagoon. The Cove Restaurant + Beach Bar is the compliment to Sailrock’s Great House Restaurant. 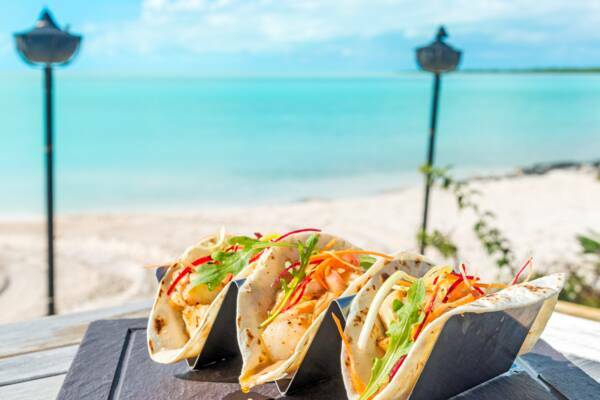 This casual dining experience, located directly on the beach, is one of the best restaurants on South Caicos and features an array of Caribbean cuisine. Gourmet tacos at the beachfront Cove Restaurant at Sailrock Resort.